Here is QMobile has introduced reliable feature phone for its valued feature phone buyers with the name of QMobile Eco 2. It is a fantastic feature phone has launched by Q Mobile with cheap price and users can avail all latest feature phones services after buying this product. QMobile Eco 2 feature phone price is really cheap and it is providing to use various latest telecom technologies through this cellular phone in astonishing price. QMobile always introduces feature phones with cheap prices but this time it has broken all its previous records because this mobile phone has launched with astonishing price and different criteria cellular operators can easily afford this feature phone for using on regular routines. This hand-set gives an option for using multiple things on same time and it is also serving dual-SIM option in this cellular phone. Buyers can easily avail two SIMs connections on same time after buying this hand-set. The weight of this hand-set is also very light and slim and users can easily bring this mobile phone on pocket to go anywhere. 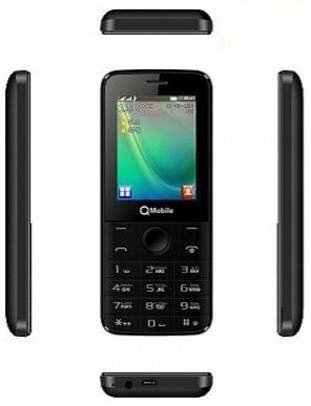 QMobile always introduces feature phones with reliable keypad option and it is also providing excellent keypad option in this mobile phone for typing. This is mind-blowing hand-set for all those cellular operators who really like to communicate with his/her friends through SMS so they can easily talk with friends by using reliable keypad of this handset. It is giving an option of micro-SD storage up to 32 GB and camera option is also very amazing in this mobile phone. Users can enjoy smart rear camera option in this hand-set and get capture countless photos for memories through this cellular phone. Get the complete specification details of this hand-set from the below. Memory: External Micro-SD Support upto 16GB. Rear Camera: Smart Camera (LED-Flash). Display Screen Size: 2.4 Inches (QVGA). Bluetooth, GPRS, EDGE and USB. Audio: FM-Radio, 3.5mm audio jack, MP3, Audio/Video Players and Multple-Games. Ringtones: Polyphonic ringtones, Downloadable, Sound-recording and MP3 files. Other Features: Dual Standby, Speaker-phone, Internet browser, Speedy Rechargeable and LED light with camera. Latest Features: Auto-call recorder, Games, Torch, Flash and Slim Body. Available Colors: Black, White, Blue and Red.